Surrounded by his immediate family, William Lee “Billy” Rogers passed away Wednesday, July 4th, 2018 following an extended illness. Funeral services will be 2:00pm Saturday July 7, 2018 at Gainesville First United Methodist Church with Reverend Scott Hearn and Reverend Don Harp officiating. Visitation will be held Friday July 6, 2018 from 5:00PM - 8:00PM at Memorial Park North Riverside Chapel Funeral Home. A private burial will be held prior to the funeral. Billy was born November 17, 1946 in Atlanta, Georgia to the late William Lee Rogers Sr. and Eugenia Wellborn Rogers. Growing up in Gainesville, Billy is a 1964 graduate of Gainesville High School, where he was active in sports and academics, and he served as Student Council President his senior year. He attended Emory University for his undergraduate degree, where his met his wife, Mary Kelly Rogers. While at Emory, Billy was a member of the Sigma Alpha Epsilon fraternity, where he established lifelong memories and friendships. After graduating from Emory he attended The University of Georgia Law School. After graduating law school, Billy and Mary moved back to Gainesville where he practiced law with Whelchel, Dunlap, Jarrard and Walker. 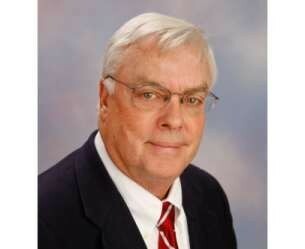 During his work career in Gainesville, Billy served as President of the United Way of Hall County, President of The Gainesville Northeast Georgia Bar Association, President of the Kiwanis Club of Gainesville, Board Member of Chattahoochee Bank of Georgia and was a lifelong member of Gainesville First United Methodist Church. After 40 years of practicing law, Billy started a new chapter of his life when he was appointed Commissioner of the Georgia Real Estate and Appraisers Board. He retired from that position in 2016 in order to spend time with his grandchildren, who were the pride and joy of his life. Billy is survived by his wife of 48 years, Mary Kelly Rogers of Gainesville. Daughter and son-in-law Meg and Allen Nivens of Gainesville. Sons Lee Rogers and Robert Rogers or Gainesville. Grandchildren Sara, Maggie, Annie, William and Virginia. Brother and sister-in-law John and Sue Ann Rogers of Gainesville. Brother and Sister-in-law Carl and Linda Rogers of Gainesville. Sister and brother-in-law Jean and Van Peeples of Gainesville. Sister and brother-in-law Georgia and Ralph Campbell of Destin, Florida, as well as numerous nieces and nephews. In lieu of flowers, donations can be directed to Gainesville First United Methodist Church, 2780 Thompson Bridge Road, Gainesville, GA 30506 or to Hospice of Northeast Georgia Medical Center, 2150 Limestone Pkwy, suite 222 Gainesville, GA 30501. Online condolences can be made at www.memorialparkfuneralhomes.com. Memorial Park North Riverside Chapel, 989 Riverside Drive Gainesville, Georgia 30501. 770-297-6200.